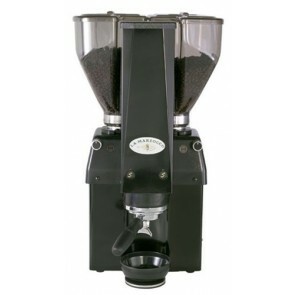 From top of the line home espresso machines to a wide range of commercial options, La Marzocco delivers. The Italian espresso authority was founded in 1927 in Florence, and has been a premier manufacturer of high-end espresso machines since the very beginning. These days, La Marzocco still makes every single Italian espresso machine in their lineup by hand in Florence. These machines are often employed by cafés and restaurants, but are also appropriate for home use by dedicated espresso lovers. Why should you trust La Marzocco? Besides the fact that they’re well-known for their durability, consistency and striking designs, La Marzocco is also an expert when it comes to usability and quality. La Marzocco machines are also highly customizable to fit the needs of your commercial setting. For Example, the La Marzocco Linea and GB5 machines come in auto-volumetric, mechanic paddle and semi-automatic options, with even more customization available on a per machine basis. Here at Seattle Coffee Gear we’re always happy to lend a helping hand. Purchasing an espresso machine for your café carries a big price tag, so it’s important to get the right machine. We’re here to help! Just give us a call or send us a message and we’ll be happy to assist. Check out our Blog and Coffee 101 pages for even more info!